Guang Feng can use any red attack as a duel. Whenever Guan Feng uses an escape, she draws a card. "Heroine" can be used only for normal Attacks. Guan Feng cannot use Fire Attacks. 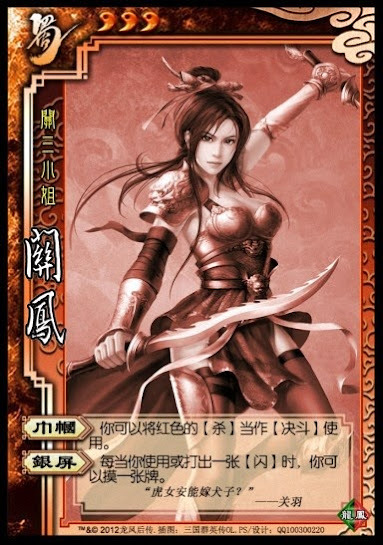 Guan Feng can use "Silver Screen" outside of her turn.